If you are an entrepreneur or a business owner then patience may not be seen as your strongest point. In order to grow your business and keep things going at a fast pace, it is crucial to keeping moving quickly at all times. Yet, if you want to your business to be visible on the first page of Google organically and improve your SEO ranking, patience is one of the most important things that differentiate you from your competitors. It is rightly said; good things come to those who have the power to wait. This is often true as you eagerly wait for that perfect moment to come. Every business owner knows it well that almost anything that they start from the scratch will certainly take the time to be noticed and trusted. Thus, patient perseverance will be important to the success of their online business. According to studies, it is believed that on the first page of Google, the first five results account for 67.6 percent of the clicks. It is a great achievement to rank on page one of any search engine. Ranking on the bottom page one versus the top is the equivalent of winning an event versus just being a backup. Years back there were very few terms ranking on the first page, which meant that there were very few leads coming in through Google. According to the Moz’s study, the search results from ranking in the six to ten positions on Google account for nearly 3.73 percent of clicks. Thus, it was in 2013 when the rankings started increasing and the businesses started showing their presence in search results. Therefore, it was during this time when our business started to move up in the search results. We also moved our way towards the middle of the search engines for more competitive search queries. In simple terms, it took over some years for our agency to truly reap the benefits of a solid SEO Strategy. Running a successful PPC campaign is also a great strategy if you need leads coming in as early. If you can rank towards the top of Google organically then there is not another marketing effort that can yield a better Return on Investment. Once you begin ranking in the top positions on Google, your business will show a new phase. For instance, when a new business comes up in the market, a lot of efforts are to be put in such as one needs to go door to door to inform them about the products, distribute free samples, participate in events and so on. This will speed up word of the mouth marketing. Just the way it takes a time to build up a customer base, similarly, it takes a time to earn credibility in the eyes of Google. If you can be patient, you will reap the benefits. Make sure you know what kind of customer you want to employ into your business. A clear strategy is required on your most profitable keywords. You also need to determine whether you need a strong focus on the local market or if you want to target keywords nationally. Once this is clear, you can deploy a strategy to structure your site in a way that will be appealing to Google. Compare one site to another or track the strength of your website over time. This will help you track and make a comparison of where you have ranked months ago and where you are now. If you are familiar with the Google Algorithm, you are aware that it is predicated based off of backlinks. This is a hyperlink to an external website that links back to your website. Through the content published on your site, you can establish credibility, generate great referral traffic and of course acquire links through the articles posted. This will not only help increase your brand exposure but it will greatly help your SEO as well. Every company should make use of this feature. Throw in any keyword and the page that you want to optimize it for and it will give you recommendations on how to change the title tag, image attributes and other key factors that go into it. Make sure that the pages of your website provide great value and are optimized for the keywords you want to rank for. In addition, it is vital to have a mobile-friendly website as well. Also, understand and recognize the things that you could use for some improvement. If you are focused on a local market, it is important to get connected with the local businesses and organizations. Keywords and link building are examples of the wealth of SEO tactics at your disposal. 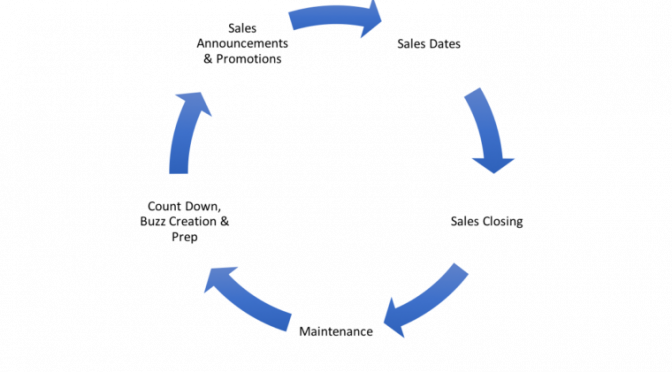 Thus acquiring SEO Services and waiting for the appropriate results to take place implement suitable strategies within the stipulated time. If you are patient, you will see the results as your search engine rankings climb and the traffic of your website increases. All of us must be familiar with the fact that what an SEO strategy is and how it should be prepared and worked upon in order to get the best results. However, with this, it is also very important to understand that sales are quite high especially during the holiday season. Thus, holidays and sales can be talked about together in one go. With Christmas, New Year, and Black Friday just around the corner, it is surely the perfect time to think about the post sales. All one needs to know is what is every business organization going to do with the landing pages that they have created over the past year? Is it all just simply going to be removed or can it be used in any sense? The simple answer to all this is NO. Nothing is going to be a waste for the company who has put in all the efforts. No sales SEO Strategy is ever a waste. For instance, let us take an example of a very famous company Black Friday. This year, it saw a 20% average increase in organic traffic and a 40% increase in the organic revenue and surely, this growth is something that no company would ever like to lose. So instead of discontinuing all the efforts, it is better to put the SEO holiday plan to a stop until next year and start it again once the holiday time is back. Sales SEO strategy is an e-commerce SEO approach for website pages that are purely date or season related like Christmas, New Year, and Black Friday. The main purpose of this strategy is to build and maintain SEO efforts and ranking year after year without creating redirection and starting off from zero each year. Nevertheless, before starting with any SEO plan the important question that comes to mind is ‘What are the things that are needed to start off with this SEO Strategy?’ Every organization can start with a non-year specific landing page. This page can be a content page or a category page. This one page should be your main page that can be used for all your related sales pages. Any current pages that are date specific can be redirected to this main landing page. With the help of these e-commerce SEO strategies, every business will be working on your main page and subpages in a year. Through this strategy, the businesses can address the sale itself, its preparation and talk about the idle time between closure and announcement. Through this, you can also plan, prepare, and promote the discount and sales, where one can monitor and track the Return on Investment. For example, when a business runs an annual new year’s sale on the first week of the year, then the organization starts preparing for this sale by October or November and start promoting it in December and have the sales put on until the first week of January. But if the sales strategy is for Black Friday, then it would be on a much larger scale as this is one of the biggest sales of the year. Whether it is a large sale or a smaller one, it needs to be promoted well and announced to your audience and customers before the sale’s date. The larger the sale it, the earlier the announcements should be made. Retailers usually prepare by announcing their sales with social postings and advertisements. This is the final day for which months of preparation and marketing has been done. All one needs to do is to sit and keep an eye on your website and make sure that nothing gets disturbed so that customers can go through the full sales process in a simple and convenient manner. Every company can post a few things on the social media sites and send out an email or two informing customers about their sales offers. All the companies run these campaigns with the intention to drive traffic and sales to their site. Once the sales end, the important thing that is to be done is to review the status of the sales and look into the year over year performance of the business. Along with this, it would also be beneficial to review your own performance compared to the industry benchmark and with the overall public stats. The 2016 Black Friday’s stats saw that around 55% of the traffic was from mobile devices, counting for 40% of the sales. It was seen that the online sales reached about $3.34 billion with a year over year growth of 21.6%. Make sure your landing page is genuine and has some quality content in it. If it is not appropriate, then make sure to create one that can be used for years to come. Make sure the landing page has all the standard SEO elements such as proper keywords, Meta tags, on-page content, ALT tags, images and one of the most important elements is to have a unique URL. Any old on-site links should point to the new page where possible. The landing page should have a social media open graph and Twitter markups, as this page will be shared via social media. Make sure this page is the only Holiday offer page listed within the sitemap with none of the previous year’s URL. One the sales are over you can still continue with the strategy and let the page run, but hold it for a while. During the first month, make sure to close the sales that have just ended and calculated your ROI. Also, make sure to specify that the sale has come to an end and will come back once again the next year. Businesses can give in some sign-up links to ensure that users give in their email ids and they can be informed about the regular activities of the company and next year’s promotions and sales. During the next few months, try using various marketing techniques to turn your sales shoppers into regular customers. Finally, when your sales are around the corner, a few months before make sure to change the images, content and add on the dates and offers of the sale. Finally, 2-3 months before your sale, add on some backlinks to make it a success. Finally, work on your backend to ensure that your site is able to handle some extra traffic. No one wants his or her site to crash. Review your site’s performance, bandwidth, and RAM to ensure that there are no errors. In addition to this, also make sure to test your site before making it live. On a concluding note, it can be seen that a Sales SEO Strategy is just like any SEO work that is long term. Even though the sale is only for a short while, but the preparations for it is all running slowly and steadily throughout the year. In today’s fast moving digital world, websites largely depend on a different set of strategies to stay ahead than those used ten years ago. In today’s era, most of the people are searching on Google using their mobile devices. At a famous event in October 2016, Google’s Webmaster Trends Analyst Gary Illyes announced that Google will create a separate mobile index within the next few months. This mobile index will become the main Google index with the desktop version. This is going to change the game all across for every business. At present, it does not matter if you search from your desktop or a mobile device, you will get the same results. However, in the near future, this is surely going to change. Google has now started testing its mobile first index. This latest mobile index will first look at the mobile version of your website for its ranking and then later on finally fall back to the desktop version if there is no mobile version to be found. Google has been thinking about the idea of the mobile index since a long time that is more than a year but the process has been implemented and worked upon recently. It has been predicted that around 75% of the searches made in 2017 will be made on mobile devices. With these latest announcements, the website owners have no choice but to adapt to the latest ongoing trend to maintain traffic and rankings. A website that is optimized for mobile SEO is accountable to a different set of customers, search algorithms, and other technical implementations. Mobile search is not only for trendsetters but also for the online and in-store shoppers, Smartphone users and also for the not so tech-savvy. Among the various mobile indexed websites that claim to have SEO as a priority, one thing is sure. Every SEO approach will now own a piece of that mobile first index puzzle. To put it forward in simple words, a website cannot attain mobile-first index success without first attaining high levels of responsive web design, optimized data and fast loading time among some of the other internal SEO strategies. In fact, some business brands have started embracing these mobile first constraints down to such a level that their mobile optimized websites rival their desktop counterparts. It is believed that mobile-first index will affect how Google will rank your website, determine the authority and will decide if your content is relevant or not based on Google’s guidelines. 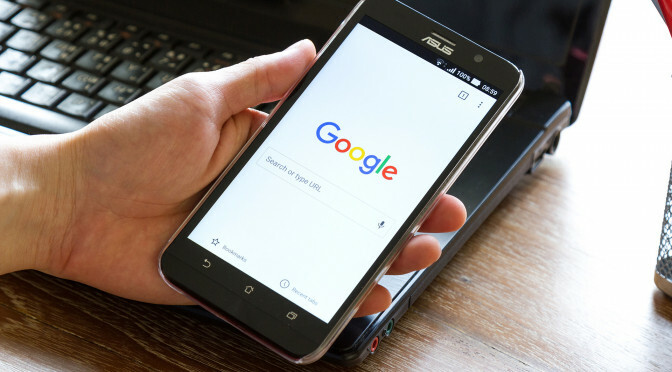 Although the mobile index will continue to be a single index of website and app, the Google algorithm will primarily use the mobile version of a particular site’s content to rank pages from that site to understand the structured data and to show a few snippets from the mentioned pages in the search results. A mobile first index site will have three options. Either the website will be responsive, or it has a separate mobile site and lastly it does not have a mobile site at all. How to Judge whether a Mobile First Index will impact your site? If your website falls in any of the three categories, then you will surely be impacted for the switch to a mobile first index. Mobile usually serves a different content than desktop. Mobile removed structured data from a desktop. It is said that if one has a mobile friendly website, then they are surely lucky. If one is managing multiple client websites or if you are a small business owner, the first thing that you need to do is to check whether the pages pass Google’s Mobile-Friendly Test. To check, one should start with the key navigation pages to plug in one by one. This would be a bit time consuming but surely it is going to provide you with excellent results. If you do not have a mobile responsive site, then you should start with an implementation strategy before Google rolls out the Mobile first index. One can easily forget to index their mobile websites. You need to type in your Smartphone and check whether a mobile is indexing your pages to Google or not. If nothing shows up, then it is clear that Google is not able to access your mobile pages. Another important thing is to examine your Smartphone errors in Google Search Console. Depending on the errors that come out, you can move further. A common mistake that is often seen is a faulty redirect. A faulty redirect is when a desktop page is redirected to a Smartphone page that is not relevant to the particular search query. Cleaning these errors will allow Google to index your content better. If you have a separate mobile site, then make sure to cross check the content that is published on the desktop as well as the mobile site. There are many mobile websites that are much lighter in content to maintain the page speed. With the new mobile first index, having diverse content on mobile and desktop can cause some major traffic and keyword loss down the line. Double check to make sure that the content is visible to all users on desktop and mobile. Web designers and developers have a common approach to hide content in mobile to make the design appear clear. Every SEO marketer should look out for hidden content. There are times when implementing structured data on a site, webmasters might skip adding them to the mobile site. With the new mobile first index, if you want to keep your structured data, you will have to add it to your mobile pages as well. Many times there are chances that you will not have the time to create mobile pages for your site. In such cases, you can create an AMP version for these pages. Google will use the AMP version to index even without the mobile friendly version. The SEO today has to know and understand more than just code and ranking. They should be very much familiar with how to use a design to influence rankings. The mobile design is an art in itself. It is said that links could pose a problem in the future because users do not usually link to the mobile compared to desktop. There is a transition to mobile-first index but building links to your desktop pages are still vital to your SEO success. Once you upload your subdomains to Google Search Console, you will receive notifications for your mobile site. Google will notify you regarding any actions taken. As per Google, these subdomains are treated as two separate lines, so data needs to be collected on both the sides. With the coming up of a mobile first index, one needs to rethink about the on-site SEO strategy that is from title tags to headers. For instance, the length of title tags is different on mobile when compared to desktop. Making sure your site loads fast is essential to rank on mobile. Large images can slow down a site. So optimizing images to the correct size is a great achievement. You can also maintain speed by leveraging browser caching. Too many redirects can also take a lot of time to reload and provides you with a slow experience. On a concluding note, it can be stated that, if you are planning to create a mobile version of your site, then keep in mind that a functional desktop-oriented site is far better than an incomplete mobile version of the site. It would be much better to launch your mobile site once it is thoroughly complete. Why is Content Part of a Smart SEO Strategy? 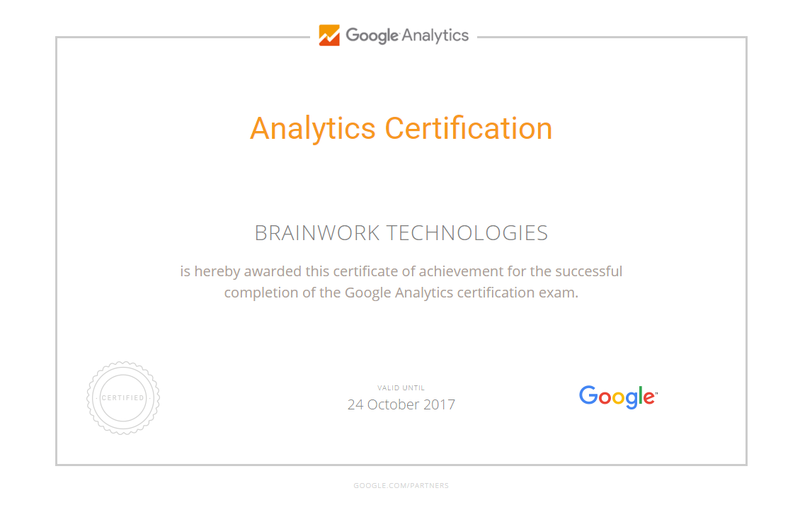 “To please Google with your SEO, forget about SEO”, said Andre Weyher (an ex-Google Webspam team member). Does it ring bell in your ears? Smart SEO professionals capture the essence by reading between the lines. 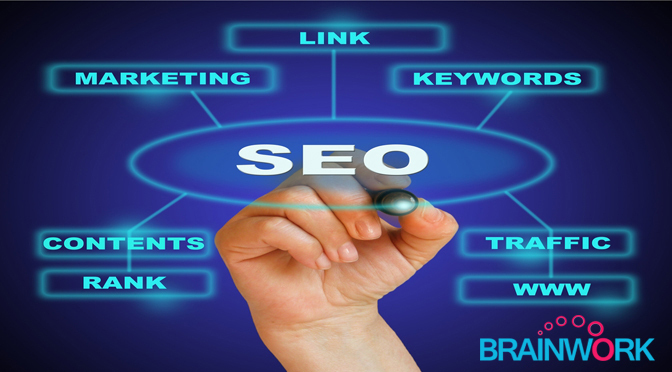 A strategic SEO campaign is about maintaining the right balance between conventional and contemporary strategies. Content is key for the success and failure of any strategy. So, you should pay attention to it. Your site should focus on publishing informative posts which add to the knowledge base of visiting audience members. The focus should be to create one post covering all aspects instead of four different ones talking about the same thing, more or less. The popularity of infographics and video posts has changed the way people used to read online-based content. The bottom line is to make them participate either by asking them to spend some time on the site or share the content with others. There is nothing to talk about quantity as it does not take the discussion in a progressive direction. We cannot undermine the importance of creating weekly or monthly posts knowing how important it is to promote relevant keywords and link-building strategy consistently. The biggest revelation made in the SEO sector is that you cannot rely on them to drive traffic to your site entirely. They make a part of it and there are other things to be paid attention to. Social signals coming from multiple sources, and coming from different sections lends a massive appeal factor. It would be foolish to pitch for the idea that social signals are secondary to links. You cannot write a blog post based on certain keywords, unless you’re planning to fail. The best practice is that you should look to write a post which presents something new to learn from or talks about the most neglected aspects of it. A post written with a limited purpose to highlight keywords and create links is doomed to fail, sooner or later. Your site should serve as a platform where visitors can learn or share something based on the quality of information shared with them. Want to Know More About Us? Download Our Brochure!